Talk about competition bringing out the best in you — there's finally a refreshed Ninja 250R. The little Ninja has been around for some time now but with things getting a bit heated up with Honda and Hyosung around, Kawasaki has decided to raise the bar, by replacing the decade-old styling with something a bit more aggressive. The 250R borrows its styling cues from the internationally available, Ninja ZX-10R. The W-shaped headlight unit has been replaced by a dual headlight, and there’s a gill section on both sides for better airflow. 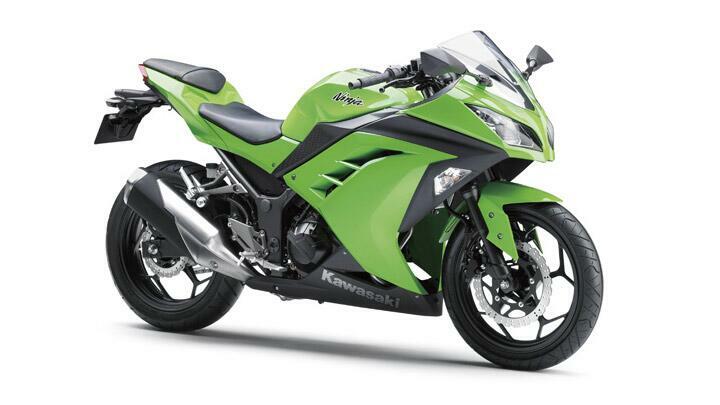 A digital-analog instrument console completes the new look, with alloys wheels that ape the Ninja ZX-14R’s design. Kawasaki has not said much about the engine, except that it now gets updated pistons, crankcases and a new exhaust. Add to that Kawasaki’s use of dual throttle valves that ensure smoother power delivery all though the rev range. No word out yet on power output but we expect it to be a marginal increase, if at all. Bajaj has not said when the bike will be launched in India, but seeing how quickly the Ninja 650 got an update, we expect the 250R to follow soon.